Are you familiar with cardamom? It is a wonderful spice with a subtle flavor, used mostly in baking. Cardamom is the secret ingredient in this recipe. 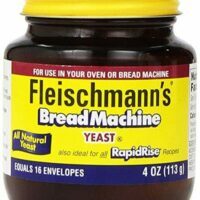 This mild flavored, somewhat sweet yeast bread is the perfect carrier for your favorite jelly or spread, i.e. Nutella or honey. If you’re like me, you don’t want to pay 4-5$ plus for a spice to use in only one recipe–especially an experiment. My suggestion is to buy a small amount where spices are sold in bulk. This is a great idea if you live in a metroplex area where stores like Central Market or Whole Foods are located. If you live in a less populated area you may not have that luxury. 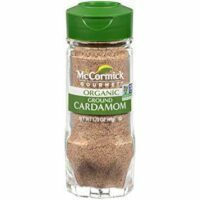 In which case, you’ll have to trust me that cardamom is worth the money. You will find other uses for cardamom if you are a baker. Check out my recipe for Banana Whole Wheat Bread that also calls for cardamom. It is one of my all-time favorites. You might be tempted to substitute cinnamon. And you could. And it will probably be delicious. But I promise, if you try the cardamom, people will rave. They will ask you about that mysterious flavor. More than likely, they will come back for another slice. It is THAT good! Roll each ball into a long cylinder shape approximately 14 inches long. Braid these shapes, pinching ends under, securely. See images above. Don’t think about it too hard–it’s just like braiding hair. If this method doesn’t work for you, divide dough into two balls. Smooth them and place side by side in 9 x 5 bread pan. 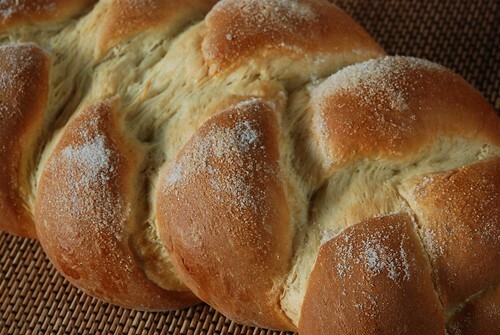 Cardamom Yeast Bread for the bread machine is a sweet and rich yeast bread, spiced with cardamom. Instructions for mixing and kneading in a bread machine, then shaping and baking in a conventional oven. Add to bread machine in order given or according to instructions in bread machine manual. 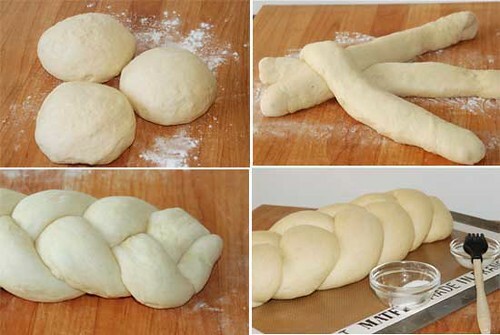 Select dough cycle. When cycle is completed, dough should be smooth, elastic and risen to double original size. 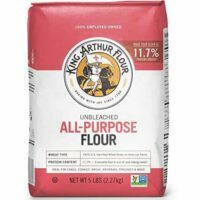 Remove from pan to lightly floured surface. Divide into 3 balls and let relax for about 10 minutes. Roll each ball into a long cylinder shape approximately 14 inches long. Braid these shapes, pinching ends under, securely. See images below. Don't think about it too hard--it's just like braiding hair. If this method doesn't work for you, divide dough into two balls. Smooth them and place side by side in 9 x 5 bread pan. Set aside to raise again until almost double. Brush milk over bread and very carefully sprinkle with light coating of sugar. Bake in preheated oven at 375 degrees for 20 to 25 minutes. Cover with foil last 10 minutes, if necessary, to prevent overbrowning. Remove from baking sheet to cool. Yodee odee yum, we love cardamom! Did you know that it’s also good in coffee? Just brew it with a few pods. cardamom pods, not coffee pods. I wonder if I could double or x1.5 this if I have a big enough bread machine. Then I could make one braid to share and impress and one to hoard for my greedy self. I also meant to say thanks very much for the recipe! Have not tried cardamom pods in my coffee but sounds fab! I have not seen a machine big enough to make a double batch. You could use a stand mixer or do what I do. As soon as bread is mixed and kneaded, pull dough out of pan and move to a separate container to rise until double while you start the next batch. OR, buy another bread machine and set them up side by side. When you don’t use your machine to bake in, you can get away with a cheaper/older one. Excellent recipe. Easy to make and gift worthy! Thanks for your recipe for Bread machine. I have used ‘old’ way before but will use the machine tomorrow 12/24/13. cooked at 325, add egg white glaze and sprinkle with raw sugar prior to baking. Your variation sounds good to me. Cardamom is one of my favorite spices! I use it in chicken and rice, on yams and baked apples. Thank you for the bread addition. Can’t wait to try it. Wow. I just bit into my first slice and it is DIVINE. My tastebuds are dancing with joy. Thank you for the recipe! Great Recipe! I found your website yesterday and tried this today. Easy, delicious and different. I’m surprized that cinnamon would be a substute for cardamom…cardamom has a citrus or citrus-peel smell and taste to me. It is very nice in this bread, which I’ll definitely be making again. Thank you. oh dear. I love cardamom. I must try this. so pretty. im trying to experiment more with spices. thx for the tips on cardamom! 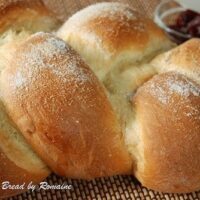 I borrowed Der’s bread machine and am trying this recipe right now. Being a novice with the bread machine – will let you know the results. This is the standard coffee bread from Finland–Finns use cardamom as often and in much the same way we use cinnamon. Once you try this bread, you’ll be convinced that the Finns are definitely onto something good. My grammie (from Helsinki) taught me how to make this bread when I was a girl and no gathering in my family is complete without it. Add a few pasties and some rye hardtack and you’re in bread heaven. Trust me. This looks sooo good and all of your breads are so good anyway! I am tempted to get out the bread machine and try it- even though the bread machine is sooo old! I totally agree about the cardamom. For years we’ve been making my grandmother’s recipe for Swedish Sweet Rolls, which use crushed cardamom seed. They don’t last very long around here. 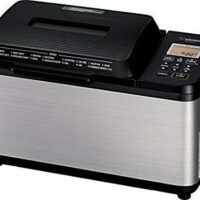 I really wish I bought that bread machine my friend had at her garage sale for $5.00 a couple of years ago.I passed it up and later found out my daughter Amanda purchased it for a second bread machine. This recipe looks incredible!!! I have never heard of cardamom but you can be sure I will be checking it out. Thanks for your inspiration! This bread looks absolutely delicious. I’ve only used cardamom in Indian curries and rice dishes and I just love it. My cardamom is in pods which are usually crushed and added to curry, but I guess this recipe just require the seeds? For this recipe, you’ll want ground cardamom. 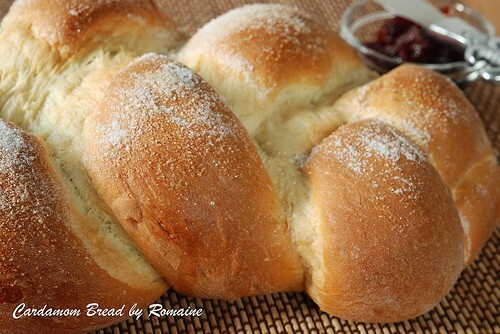 I LOVE homemade bread – any type! This is a new one…it’s definitely now on my to-make list. Could I do it without the bread machine? Megan, this can be made by hand, a mixer or even a food processor if you don’t have a bread machine. This looks really good! Your bread is always good – and I love making it in the bread machine. That’s the only way I can even think about making bread right now!